Picture taken from one of the bombers of the first RAF night rain on Berlin. The diagonal street on the top is the Charlottenburger Chaussee, the light flashes were beams from the anti-aircraft searchlights. 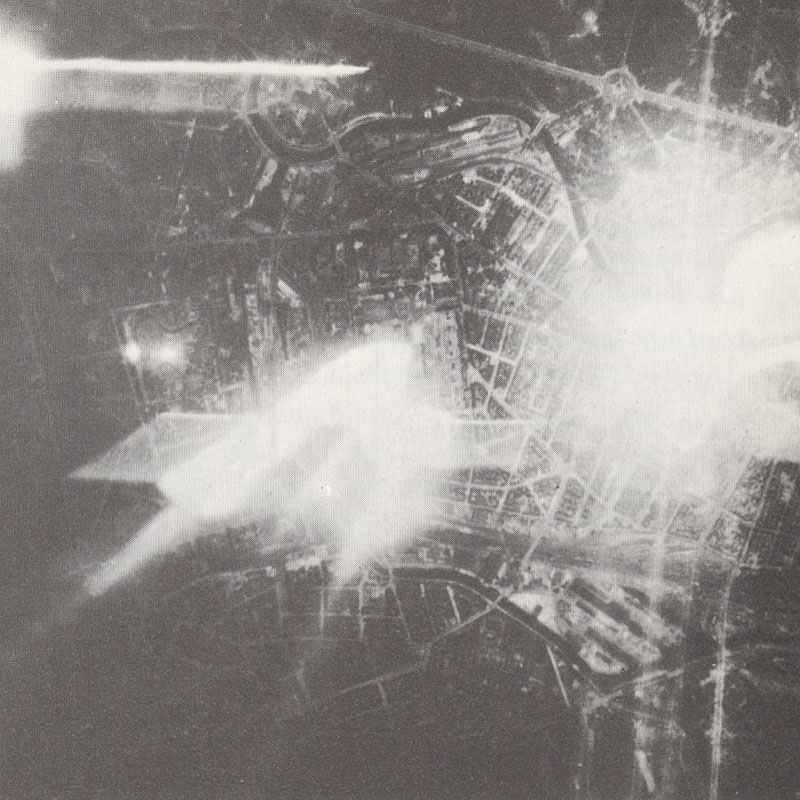 FIRST RAF NIGHT RAID ON BERLIN: 81 bombers despatched, but many fail to find target; slight damage in city centre and suburbs. Raids on other targets inc. Cologne, Hamm and Boulogne. Total losses: 5 aircraft. Battle of Britain (Day 47): air battle over Portland-Portsmouth area. 19 German aircraft destroyed for loss of 8 RAF fighters; Warmwell airfield bombed. 150 night raiders over Britain: main target Birmingham. Token British garrisons withdrawn from Shanghai and Tientsin (latter had been blockaded by Japanese since 1939).